This course will help you improve your competence in English for college or university study to an upper-intermediate level. 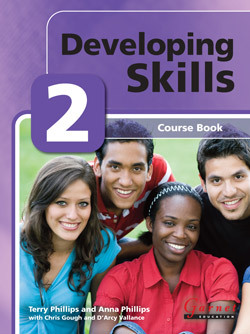 Starting Skills Books 1 and 2 with Building Skills Books 1 and 2 and Developing Skills Books 1 and 2 form a six-level course for higher education studies in English which will take you from Starter to Upper Intermediate. Accompanying Workbook and Teacher's Book also available.